The LG Watch Urbane takes the powerful components of the G Watch R and dresses them in a formal stainless body finished in polished silver or gold. The changes made to the Urbane are cosmetic. LG’s official press release describes it as a “luxury timepiece” and “not an electronic gadget”. Markings defacing the face of the older G Watch R are gone. Instead the Watch Urbane is one sleek stainless steel body joined by interchangeable 22mm leather bands. All of the features found in the G Watch R have been packed into a thinner body. The Plastic-OLED display still has a high 320x320 resolution, a photoplethysmography heart monitor is still built into its underside, and the Watch Urbane upholds tough credentials with IP67 certification. Powering the smartwatch is a 1.2GHz Snapdragon CPU, 512MB of RAM, 4GB of internal storage and a 410 milliamp-hour battery. The Watch Urbane runs Google’s Android Wear smartwatch operating system and will work with smartphones running 4.3 Jelly Bean and later. 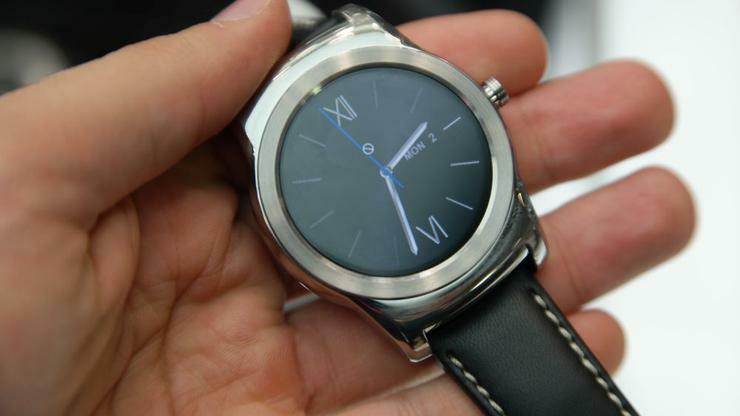 LG will officially unveil the Watch Urbane at the Mobile World Congress in Barcelona in early March. Good Gear Guide will be attending the event to bring more news on the Watch Urbane.